Abandon the teachings of Mohammad to commit evil on your neighbors and come to know forgiveness and peace through the Christ! Turn from the teachings of hate, oppression, and slavery of others and learn the teachings of the Prince of Peace. You know in your heart if you be of good will toward your children that treating the children of others to terror is evil. Turn from the hate of Jihad! Islam has no place in the civilized world! There is a reason that Mohammad told his followers to kill those who spoke against Islam, to kill those who abandon Islam, and to kill those who tell Muslims of Jesus the Christ. There is a reason Mohammad told his followers to invade and infiltrate their neighbors, to deceive outsiders about their religion and intentions, and to put all people under the boot of Islamic law. 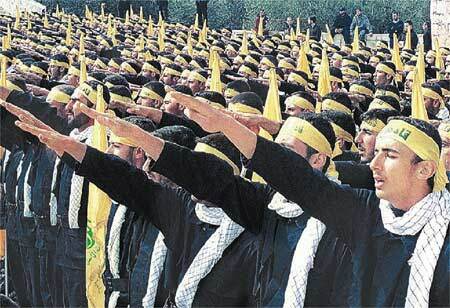 There is a reason Islamic clerics teach their people not to learn from the West, teach them that people of other nations are all evil, and teach them to hate others and not to learn from them. Islamist nations living under a theocracy do not permit the building of churches or allow Christians to speak freely. They censor the Internet and indoctrinate their children from infancy into ignorance and hate. Good people understand that those who send their children out into the world without knowledge, without morality, are teaching them to do wrong and setting them up to fail. have turned from the darkness of Mohammad. You know the teachings of Mohammad that dying while murdering others leads to Paradise, that being dishonest to infidels is righteous, and being good only to Muslims but hateful to others are the teachings of a false prophet. When Imams tell you not to listen, then you listen and learn so you can make a righteous choice. Ignorance is the playground of evil. This entry was posted in Illegal Immigration, Islamism, Religion and tagged America, Christianity, Fundamentalist Islam, Islam, Islamic Extremists, Islamic Jihadis, Islamic terror, Militant Islam, Prophet Mohammad, Radical Islam. Bookmark the permalink. 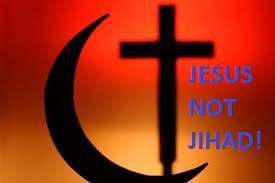 3 Responses to Good Muslims of the world, turn from the hate of Jihad and seek Jesus! Not sure what you mean by this? Not buying that Moslems would convert, or not buying that Moslems convert when given the opportunity?